The guys are back to recap a snowy victory for the Bears over the 49ers. The defense played well, so why is there a report about Vic Fangio's job status (5:30)? Kevin and John analyze that situation before the guys turn the page to the NFC North-leading Detroit Lions. Justin Rogers (@Justin_Rogers) joins the show to preview Sunday's game and discuss Matthew Stafford's success (10:07), Chicago natives Laken Tomlinson and Graham Glasgow and Jim Caldwell's smiles. 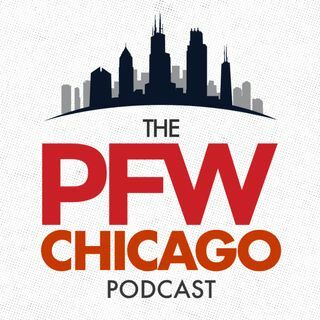 The guys wrap ... See More up the show by breaking down the Bears' fantasy football outlook for Sunday and then give their picks.